Stick with me for a minute and I'll get you there. So... you might have noticed somewhere along the way (if you've followed my work for five minutes or more) that I have a slight obsession with turquoise and sandy colors paired with beach themes. 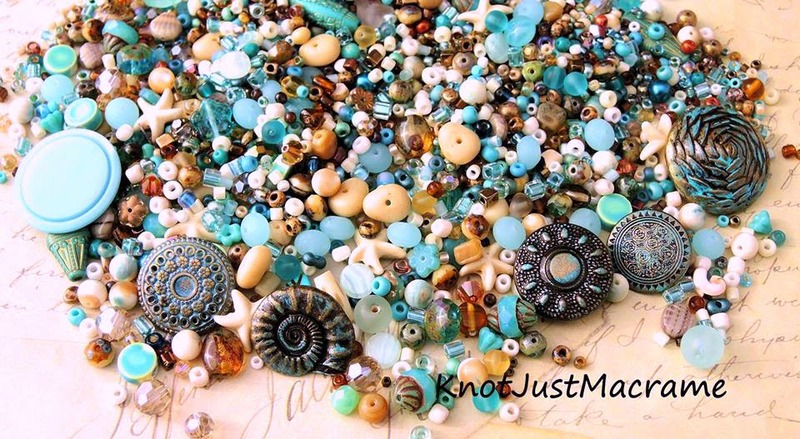 This week I mixed up a little bead soup for inspiration, then dug around for some buttons to coordinate. I found one really pretty button in the softest turquoise color, but the rest were just metal tones - mostly brass. I added some color with Vinaj patinas so now they go perfectly (in my humble opinion, and since it's my blog... well, you get the picture). 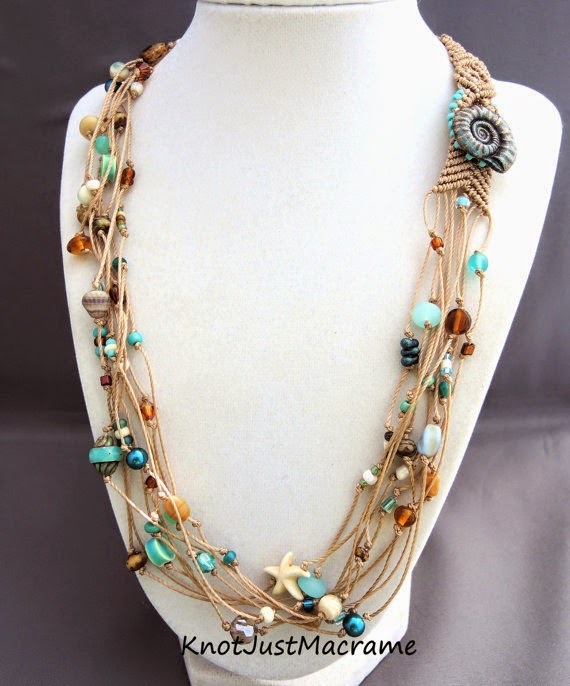 Turns out this is the perfect mix for multiple strand necklaces with everything I love! Then yesterday when I was trying to take some photos for this post, Carter plopped himself down in my lap and announced "me!". See the little fingers pointing at his "me"? 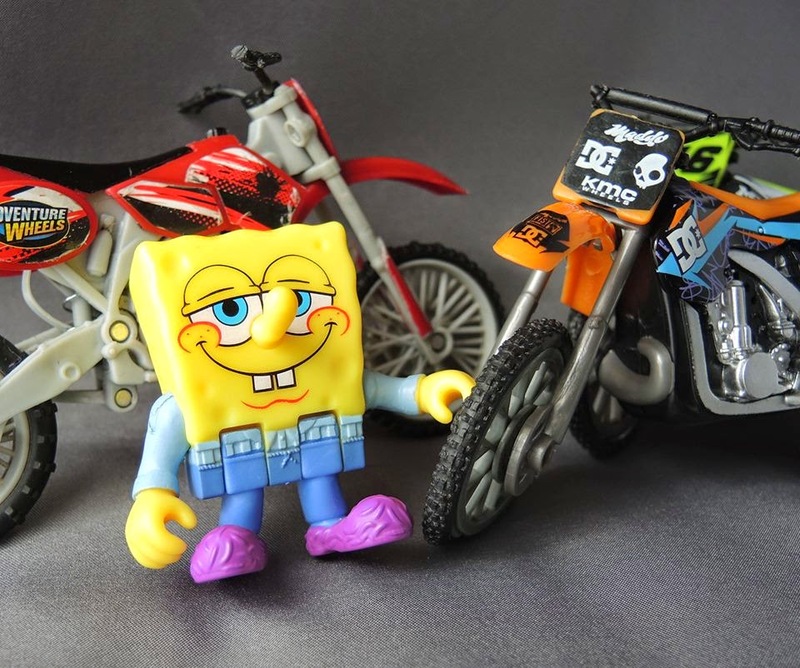 Since we all know I'm putty in his hand, I put off the "real" photos and instead we took pictures of SpongeBob and dirt bikes. And that's how you get from A to B in the ridiculousless that is my life - I wouldn't have it any other way! I'm digging the beach-y feel to this, and also the diamond pattern on the loop end of the necklace....I don't know what it is about that portion, but it's intriguing. In short, awesome work! 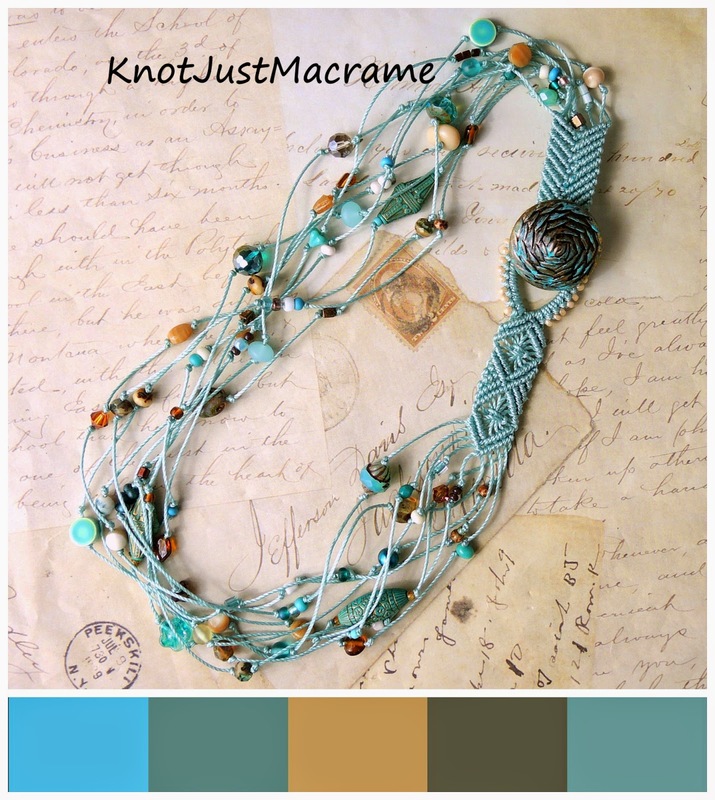 I had a love for turquoise and khaki before I started micro macrame with you, but this is beautiful and is the frosting on the cake. What more could you ask for than to have Carter in your lap. So precious and what a treat to share watching him growing up. Beautiful. 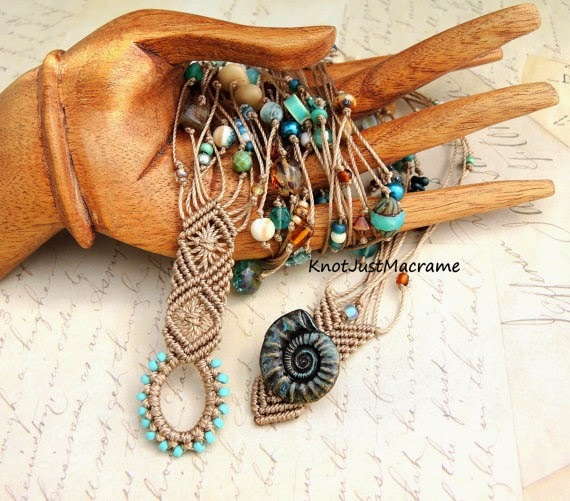 So You Want to Learn Micro Macrame?